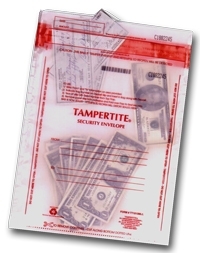 Deposit Bags | Tampertite Security Bags TT1013MLC | Deposit Bag 10"x13"
Works perfectly for what we needed! Excellent quality, satisfied with the purchase. This is second time. © Copyright 20165 www.tampertite.com. All Rights Reserved.